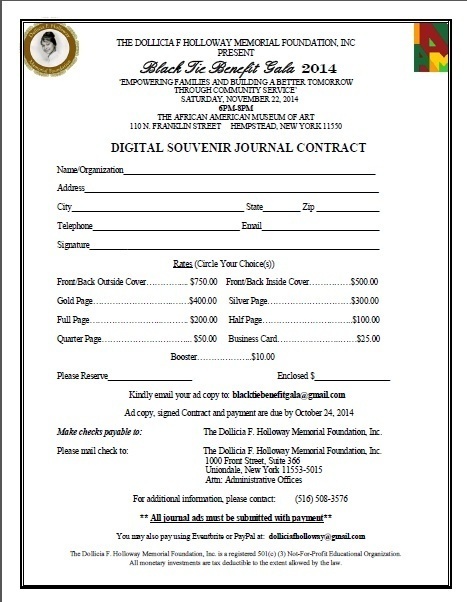 Buy Tickets / Buy a Journal Ad - The Dollicia F. Holloway Memorial Foundation, Inc.
and printed at Eventbrite by clicking the button below. colleagues, community, businesses and organizations. Business owners and attendees can take out a "Congratulations Journal Ad"
for any of the 2014 Hidden Heroes Community Service Award Honorees. Thank you so much for all of your support in making this a successful event! Click here for Corporate Sponsorship packages.